Oceania Cruises is adding free Internet access to guests booking upper-category accommodations starting with the winter 2015-16 season. It joins sister company Regent Seven Seas Cruises, which is launching a similar program. Oceania’s announcement comes one week after a primary competitor in the upper-premium segment, Azamara Club Cruises, decided to end free Internet service offered as a reward in its loyalty program starting Jan. 1. Oceania estimates that about half of its passengers will get free Internet. Here’s how it’ll work: Oceania guests booked in Owner’s, Vista and Oceania suites will receive free unlimited Internet access, while those in Penthouse suites or Concierge-Level staterooms will receive blocks of free Internet time based on cruise length, from 200 minutes for a seven-night cruise and to 500 minutes for 16 nights or more. The complimentary Internet roll-out will be staggered across the fleet, tied to the official start of each ship’s winter schedule. The first sailings will be Nautica on Oct. 25, 2015, followed by Marina on Nov. 3, Regatta on Nov. 4, Riviera on Dec. 2, and Insignia on Jan. 4, 2016, when it begins its third 180-day Around the World voyage. Sales for the 2015-16 season open on Sept. 17. Oceania recently upgraded the Wi-Fi system fleet-wide to increase bandwidth and provide connectivity throughout the entire ship, including all public spaces, outdoor decks and all suites and staterooms. Guests can access the Internet through Wi-Fi or at the onboard Internet café. Meanwhile, Azamara Club Cruises announced Sept. 1 that it is overhauling the Le Club Voyage loyalty program effective Jan. 1, adding benefits such as $199 stateroom upgrades, complimentary nights, onboard savings and savings on future voyages. Benefits being discontinued include the free Internet service, as well as sparkling wine in staterooms upon arrival and one free bag of laundry. A new competitor in this segment, Viking Ocean Cruises, says it will offer free Internet service when its first ship — the 930-passenger, all-veranda Viking Star — launches in May. The company plans to introduce two more ships in 2016. Oceania’s sister company, Regent Seven Seas is offering free wireless Internet access to most guests starting Jan. 1. Like Oceania, the free Wi-Fi is unlimited for guests in top-tier suites — the Master, Grand, Seven Seas, Horizon, Mariner, Navigator and Voyager suites — while those in Penthouse and Concierge suites will get 200 free minutes during a seven-night cruise up to 500 minutes for 16 or more nights. Internet is still pay-as-you-go in the lower Veranda and Window accommodations. Regent’s luxury competitor Crystal Cruises is starting up a free Internet benefit within weeks for repeat guests. 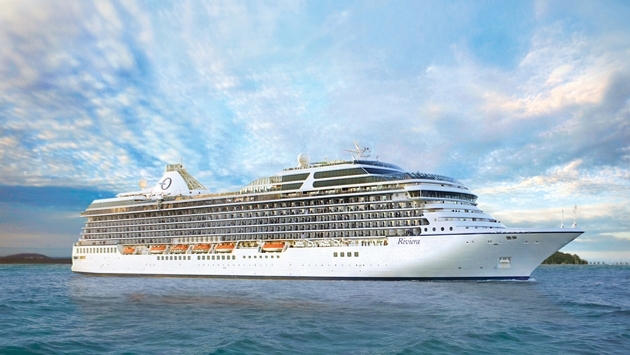 The program starts Sept. 19 on the Crystal Serenity and Oct. 15 on Crystal Symphony. Full-fare guests traveling on their second Crystal cruise and subsequent voyages will get free up to 60 minutes free Wi-Fi per guest, per day. 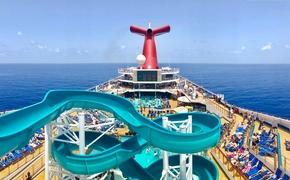 On a 10-day voyage, that comes to 600 minutes per guest or 1,200 minutes per double-occupancy stateroom. Meanwhile, free Wi-Fi is available on most river cruises, including AmaWaterways, Avalon Waterways, Scenic Cruises, Tauck, Uniworld and Viking River Cruises. There’s no doubt that cruise passengers want to keep in touch while at sea and grow frustrated with the slow and expensive Internet connections on most ships. While not offering free Wi-Fi, Royal Caribbean International is working to upgrade its Internet connections to speeds comparable to what we have on land. The company partnered with O3b Networks, which specializes in bringing Internet service to remote locations around the globe, so its satellites will beam signals directly to the ship. The cutting-edge system will have more bandwidth than is available on “all the other cruise ships in the world combined,” Royal Caribbean Chairman Richard Fain has said.